These frill neck lizards in Australia's top end, are a very unique kind of lizard. The way how they can camouflage is one thing, but how the can defend themselves by opening their neck the way do, is truly spectacular. 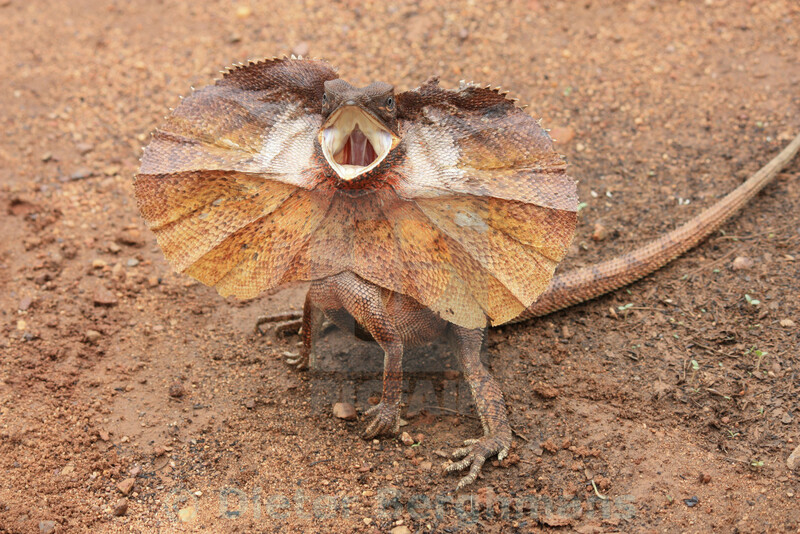 They are very hard to find these days as also these frill neck lizards have been affected by the introduction of the non native and poisonous cane toad.